Some of our fondest memories of college days are made at hangout spots around the campus. From sharing food with the squad to becoming friends with the cafe owners themselves, it is a certain kind of joy. If you studied at Bhavan's Vivekananda College in Secunderabad, you sure made memories at few of these places. While bunking classes or for a cuppa when The Coffee Cup got too crowded, we've always had The Second Cup. 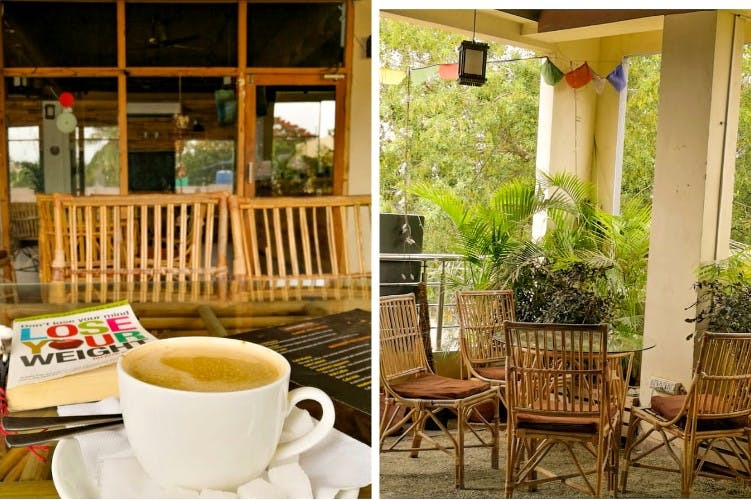 This café has a boho vibe to it, with bookshelves, prayer flags, lots of natural light and wooden furniture. The food isn't extraordinary, but to jam, play games or have long conversations over coffee with friends, this has been a go-to place for students. This bakery has been around for years, satiating your sweet tooth cravings. Most college goers rush here to grab seats as it tends to get super crowded. Puffs and plums to spring rolls and pastries, no matter what your order, you followed it with their sweet lassi. The server of the best shawarma in the area, Hangouts is a tiny place that is frequented by students looking for great food at pocket-friendly prices. It might look like a lazy joint otherwise, but once the college timing are done with — many a group of kids is devouring shawarma, kebabs, and tandoori chicken here. if you're thinking chaat, it was and will always be Bombay Chaat for Bhavan's kids. Mouthwatering paav bhaji and pani puri bring a lot of students to their stall. They also serve other street food from Bombay like vada paav, bhel puri, cutlet. Their grilled cheese sandwiches and fresh fruit juices have filled a lot of hungry tummies too. Need coffee after a long day of classes? Cafe Avail is your pick. This retro themed café is where the college folk hangs out from time to time. Good vibes, great coffee and your gang, life's good here. Yummy paranthas after college hours? Yes, please. It's Paranthe Wali Gali for the love of buttery aloo paranthas and to have a wholesome meal with yours friends. This tiny eatery has Wang's Chinese Kitchen and Makers Of Milkshakes right next to it, and all three of these places have become addas for the college kids.